My name is Leah and my husband Patrick came up with this concept. I purchased the vintage dusters and hats, borrowed some boots and spurs from my son an actual wrangler at a ranch along with a suede vest and silk wild rag or scarf. 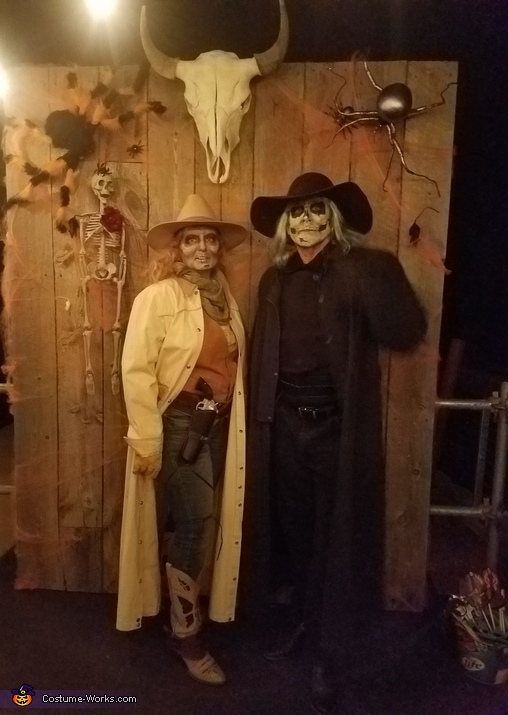 Bought toy guns at a costume shop and designed our makeup that our local professional makeup artist applied. We attended a huge party in San Diego and got looks and thumbs up all night!